Helping BP to respond more quickly to the varying demands of its retail markets in Europe, Africa and Australasia. How to compel a network of dealers, company owned sites and licensed operators to sing from the same brand song sheet is a challenge all retailers face. When that network is worldwide and in excess of 24,000 sites the task facing BP could only realistically be tackled with the aid of a proper brand asset management system comprising an up to date online brand guidelines document and agreed with standards in each market. In order to achieve the buy in amongst the regional BP operating companies it was essential that up to date drawings and market specific imagery was maintained in local languages and reflected the local network. 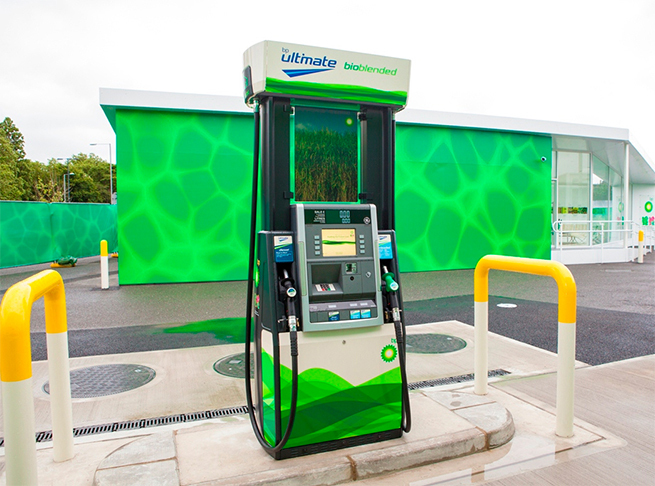 The huge size of the task is exemplified from the range of pump graphic applications including every fuel dispenser brand of varying age and type which runs into over 100 pages. The array of technologically advanced dispenser equipment and more sophisticated fuel products with varying degrees of additives for performance, economy and emission control is now quite huge and growing. 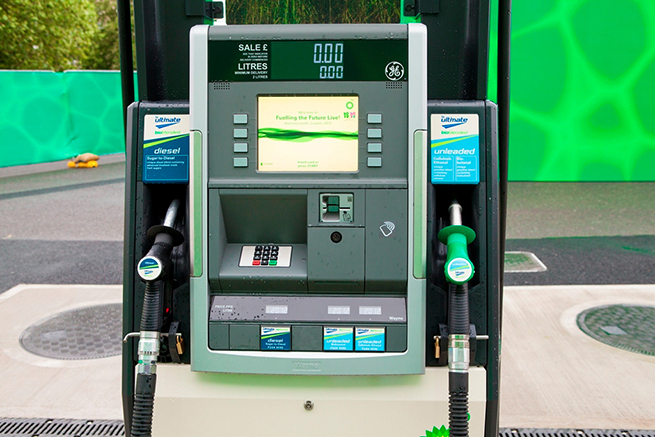 Working with BP’s fuel chain value marketing team, we assisted in differentiating the products offered through effective graphics around the nozzle and messages displayed on the digital screen. So what could have been mind-bogglingly confusing became an opportunity to gain customers trust, sell more premium product and cross-sell more frequently. Retailers will always seek to stimulate product sales through effective promotions, sponsorships and precisely targeted communications is a technique all retailers will use. For BP, fuel sponsor of the London 2012 Olympic games the challenge was to maximize the effectiveness of its considerable investment. On the petrol station our role was to assist in devising a system of graphics that displayed the heroic photographs of athletes leaping around the forecourt in an eye catching manner but was also practical enough to be installed easily, remain intact for the duration of the promotion and be easily removed at the end of event. For business to business communications and events, Minale Tattersfield created animated walkthroughs for dealer conferences and specially decorated pumps for VIP guest demonstration purposes. We are helping to bringing the entire BP network under tighter control with powerful brand implementation tools that not only delivers time, cost-efficiencies and consistency but also opens up new opportunities to add value for design and asset managers. "Building and managing a leading global brand is as much about attention to detail as creating earth shattering new concepts. Minale Tattersfield understand this and are therefore an essential component of my brand management toolkit."